South Carolina Senator Lindsey Graham said that there's "nothing crazy" about President Donald Trump's recent string of bombastic tweets and comments. Appearing on MSNBC's Hugh Hewitt Show, Graham said that Trump was "not the first president to use the bully pulpit to try to push the country in a particular direction." In the last two days, Trump said that his highly-criticized response to the violence at a white nationalist rally was "perfect," retweeted a meme of himself "eclipsing" former President Barack Obama, and increased US military presence in Afghanistan after building his campaign on criticizing the war. Though Graham said that Trump went a bit "nuts" in his Charlottesville comments, he also said that his Afghanistan speech was "excellent." According to Graham, Trump's behavior is a strategic play to win favor with Republicans and push forward with his agenda. "The rally is Donald Trump going back to base politics, firing up his base to create political pressure and to keep his people on board for his agenda," Graham said on MSNBC. "So it's not irrational." 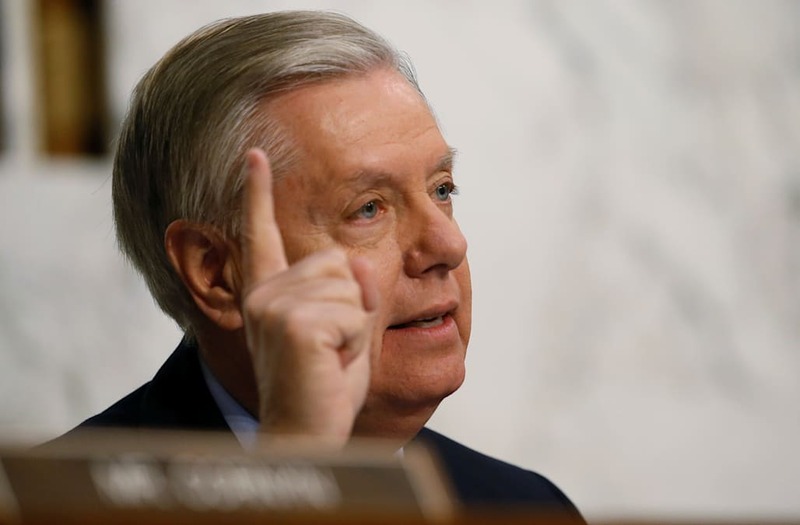 "There's nothing unhinged about it, it's a political strategy that I'm not so sure is smart, but it's a very thought-out strategy," Graham added. Graham, who has been one of Trump's most vocal conservative critics throughout the presidency, also said that Trump needs to stop watching TV coverage of himself. Graham relayed a story about when Trump called him in the middle of the night to say that he needed to turn on the TV because he was on MSNBC.